According to ECCO there were one hundred books published in the eighteenth century with the term ‘experimental philosophy’ in their title. What is surprising about these books is that the majority of them are courses in or lectures on experimental philosophy: they are pedagogical works rather than works in natural philosophy per se. 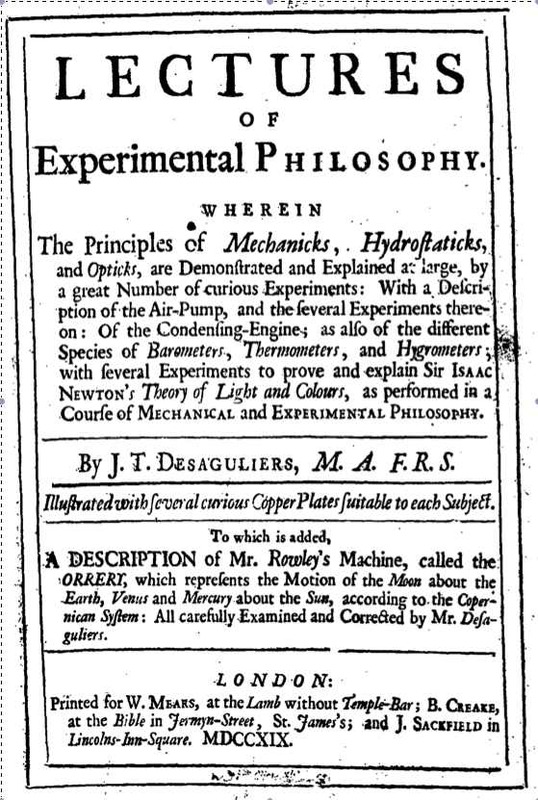 One of the earliest of these works was Lectures of Experimental Philosophy by John Theophilus Desaguliers published in 1719. This work gives the principles of mechanics, hydrostatics and optics, explaining them with descriptions of experiments that had recently been used in these disciplines. There are other borrowings from Forms and Qualities, but space prevents me from listing them here. Two points are worth noting, however. First, it is very interesting to see concrete evidence of the influence of Boyle’s Forms and Qualities in the latter years of the second decade of the eighteenth century. Until now there has been little recognition of the impact of this specific work by Boyle, though few would doubt his enormous impact on British experimental philosophy in general. 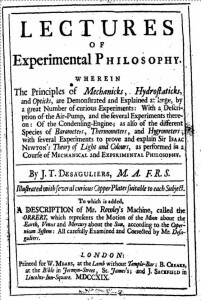 By researching the history of early modern experimental philosophy, my fellow bloggers and I are attempting to provide an alternative to the standard narrative of early modern thought as a prolonged conflict between the empiricist school of Locke, Berkeley, and Hume and the rationalist school of Descartes, Spinoza, and Leibniz. Who was responsible for coining and popularizing that standard narrative? Several scholars suggested that British Idealists in particular, played an important role in this process. I recently tested this suggestion by doing some research on Edward Caird, one of the main first-generation British Idealists. Caird did not write any history of philosophy, but he provided extended accounts of early modern thought in his widely read Kant books. The quotes below are from the first volume of The Critical Philosophy of Immanuel Kant (1889). Caird sees his own idealism as a completion of the philosophical revolution initiated by Kant. Kant’s Critical philosophy opened the doors to an “idealistic interpretation of the universe” (44) by synthesizing “the different tendencies of his time” and going “beyond their one-sidedness, and thereby lifted philosophical discussion to a new level” (44). “How are we to describe” this “great change”, initiated by Kant? (46) “In general terms we may say that it was a change from division to reconciliation, from Individualism and Atomism to a renewed perception that the whole is prior to the parts, and that individual independence must rest on social unity” (46, see 70). Individualism is the guiding principle of the whole “history of [early] modern philosophy” (72). “The history of modern thought begins with” Martin Luther’s “declaration of the spiritual independence of the individual, and the rejection of the principle of authority” (72). Along similar lines, modern science and “Bacon’s empiricism” placed a strong emphasis on individual, first-hand knowledge. Luther and Bacon attempted to go beyond mere subjectivity to achieve “the unity of thought with its object” (74). They failed, giving rise to the scepticism with which Descartes grappled at the beginning of the Meditations. Descartes overcame it by relying on God’s veracity. To Descartes, “our consciousness of God” is prior even to “our consciousness of ourselves” (76). Malebranche and Spinoza developed Descartes’ theocentric approach to unify subject and object, but they failed and gave way to the individualist assumption that “we must see all things” not in God, but “in ourselves”, either “through the sensations which outward objects have produced in our minds, or through the ideas which spring directly out of our own consciousness, that we come to a knowledge of other things” (83). Locke’s and Hume’s empiricism explored the first alternative, Leibniz’s and Wolff’s rationalism the second. They all failed, leading “the progress of Individualism to its necessary consummation in Scepticism” (86). 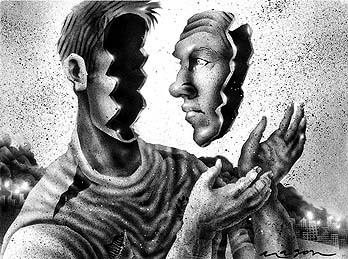 Only Kant managed to synthesize subject and object, mind and world by realizing that the latter is mind-dependent and placing “the idea of a self-determining subject” (85) at the centre of his philosophy. Thus ends Caird’s account of early modern thought. the teleological reading of early modern thinkers as struggling to reach an adequate understanding of the unity of subject and object, mind and world — something that only Hegel would fully achieve. Besides having these rather unfamiliar features, Idealist histories of early modern thought do not spell out the standard triumvirates. They sever the theocentric philosophies of Descartes, Malebranche, and Spinoza from Leibniz’s and Wolff’s philosophy. They read Berkeley as an idealist rather than an intermediate step in the progress from Locke to Hume. On the whole, then, Caird’s account of early modern thought is much less similar to standard histories of early modern philosophies than Tennemann’s earlier, Kant-inspired History of Philosophy. This leads me to doubt that British Idealism is key to understanding how the standard narrative of early modern thought came to the fore. As we have constantly argued for in this blog, experimental philosophy went beyond the boundaries of natural philosophy and was adopted in a number of other areas (ethics, aesthetics, theology, etc.) We have seen that this is particularly true in the case of Scotland (Turnbull, Hume, Fordyce, Reid, Hutcheson, Smith etc. ), but we are yet to discuss the suitability of the experimental method of natural philosophy for enquiries into moral philosophy. In particular, we have not examined in any detail what those thinkers we have discussed would count as ‘experiments’ in formulating their moral theories. This is the topic of today’s post. In fine, the only thing in enquiries into any part of nature, moral or corporeal, is not to admit any hypothesis as the real solution of appearances, till it is found really to take place in nature, either by immediate experiment, or by necessary reasonings from effects, that unavoidably lead to it as their sole cause, law, or principle. It is only in the way of experiment, that either the science of the human mind, or of any material system can be acquired. From these statements and the argument Turnbull develops in his book, it seems that he is using ‘experiment’ in a sense that is closer to the meaning of ‘experience’. This usage of the term is not surprising, since the French word ‘experience’ can mean both ‘experiment’ and ‘experience,’ and even in English and in Spanish the word can be used with both senses (the verb ‘experimentar’ in Spanish is used both to refer to ‘experience’ and to ‘experiment’). So it seems that ‘experiments’ in moral philosophy lose one of the connotations the term has in natural philosophy, namely the active, manipulation of nature. When Turnbull insists that in moral philosophy we can only reason by way of experiments, he is talking about observing and experiencing the way human beings behave, and founding our conclusions on such observations. So far we would have to say that there are no experiments per se in moral philosophy, but rather just experience and observation. However, there is an aspect that does have some sort of parallel with experiments in natural philosophy. As I commented in a previous post, introspection is one of the aspects that the Scottish experimental moral philosophers used in their investigations, and this is the experimenting factor in their method. If we are to follow the methodology of experimental philosophy, then we must found all our theories on experience and observation, and completely disregard any sort of hypotheses and speculation. But when the subject of our inquiries is the human mind, our observations are limited. Yes, we can observe how other human beings behave, and that can give us some knowledge, but we cannot observe their minds. The only way anyone can observe the human mind and its operations is by looking into and experiencing their own mind, by introspection. By looking into our own minds we can construct an explanation of our constitution and behaviour based on such observations, and then we can observe others and compare experiences in order to enrich our moral theories. This is why Turnbull is constantly asking the reader not to take his word for the claims he makes, but rather experiment and look into their own minds to confirm such claims. He wasn’t the only one taking this stand: Thomas Reid also appeals to introspection and even Locke as early as Draft B of the Essay (1671) takes introspection to be a form of experiment. So it seems that the term ‘experiment’ was tweaked for its application in moral philosophy. It is closer to what we mean by ‘experience,’ but it keeps an aspect of ‘experimenting’ that is limited to the each individual’s own mind. The question remains, however, as to whether we can actually count introspection as a proper experiment or not. The Scottish experimental moral philosophers certainly counted it just as they would count any experiment in natural philosophy. The past decade has seen a renewed interest in multiple aspects of early modern experimentation: in the cognitive, psychological and social aspects of experiments, in their heuristic and exploratory value and in the complex inter-relations between experience, observation and experiment. Meanwhile, comparatively little has been done towards a more detailed, contextual and specific study of what might be described, a bit anachronistically, as the methodology of early modern experimentation, i.e. the ways in which philosophers, naturalists, promoters of mixed mathematics and artisans put experiments together and reflected on the capacity of experiments to extend, refine and test hypotheses, on the limits of experimental activity and on the heuristic power of experimentation. So far, the sustained interest in the role played by experiments in early modern science has usually centered on ‘evidence’- related problems. This line of investigation favored examination of the experimental results but neglected the “methodology” that brought about the results in the first place. It has also neglected the more creative and exploratory roles that experiments could and did play in the works of sixteenth and seventeenth century explorers of nature. This special issue of the Journal of Early Modern Studies aims to bring together articles devoted to the investigation of particular cases of early modern experiments or early modern discussions of experimental methodology. We aim to put together a selection of interesting and perhaps relevant case studies that would further what might prove to be an interesting line of research, namely the investigation of the heuristic, analogical and creative role of early modern experiments. JEMS is an interdisciplinary, peer-reviewed journal of intellectual history, dedicated to the exploration of the interactions between philosophy, science and religion in Early Modern Europe. It is edited by the Research Centre “Foundations of Modern Thought”, University of Bucharest, and published and distributed by Zeta Books. For further information on JEMS, please visit http://www.zetabooks.com/journal-of-early-modern-studies.html. We are seeking for articles no longer than 10,000 words, in English or French, with an abstract and key-words in English. Please send your contribution by the 1st of October 2012 to jems@zetabooks.com.